We Aum Group Inc was established in the year 2005 to fulfill the growing demand of Jewellery Products. With this aim we started manufacturing high quality, fashionable Designer Jewellery products on guaranteed orders. Our Jewellery range of products include pendants, findings, rings, bangles, earrings, necklaces and various other products. These products are widely appreciated in the market of Australia / NZ, East Europe, North Europe and Central America for their accurate dimensions, high tensile strength, faultless and flawless designs. Many years of successful survival in the field of manufacturing supreme quality Jewellery products has polished our skills and made us capable to fabricate the products as per the customer specification. The raw material that we use in the fabrication is procured from trusted and reliable vendors to ensure durability and high tensile strength. Moreover, these products are tested by our team of quality control experts at each and every stage of production to ensure faultless and flawless range of products. 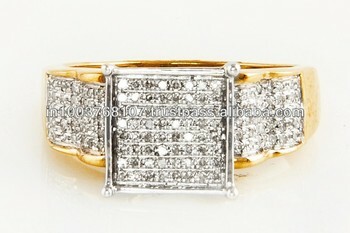 We mainly manufacture 18Kt / 14Kt jewlery's. Please feel to provide your details of jewelry, specific designs etc. Our request to compay's sending inquiry to us, please mentioned your contact e mail address, contact number with inquiry details for fast and better responses for jewelry.